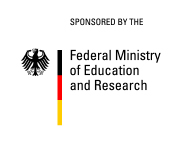 A funded PhD position "Neural basis for motivation and perseverence in behavior" is available in the group of Julijana Gjorgjieva, Max Planck Institute for Brain Research (Frankfurt, Germany) and the Technical University of Munich (Munich, Germany). We will also consider strong postdoctoral applicants. Recommended application deadline: February 15, 2017. Applicants will be considered until the position is filled. The project is a collaboration with the experimental lab of Ilona Grunwald Kadow (Technical University of Munich) who studies the neural circuits underlying sensory processing and decision making in Drosophila. We are two young and highly-driven labs with many interesting ideas and synergistic interactions. Have you ever wondered how you came to like the taste of coffee? If you don’t like blue cheese, would you still consider eating some if you were very hungry? We want to understand how behavior changes in response to different sensory experiences and how they are imprinted as memories. The project aims to uncover circuit principles and behavioral readouts of motivation and persistence in the presence of diverse stimuli of different valences (appetitive of aversive) and as a function of internal state (e.g. hunger). To achieve this, we use a combination of theory, computational modeling and cutting-edge experiments. Applicants should have strong quantitative background (in mathematics, physics, engineering, computer science, or related fields), some experience in programming and data analysis, and a desire to develop cutting-edge experimental techniques. Previous background in behavioral analysis is a plus! 2. A motivation letter (if a PhD student) or a description of research interests (if a postdoc). Please explain your scientific interests, what are you strengths when working on a problem, why us?